Distribution Download here Contact us to get access to the GIT server with the newest version of AToM. Distribution Download here Contact us to get access to the GIT server with the newest version of FOPS. 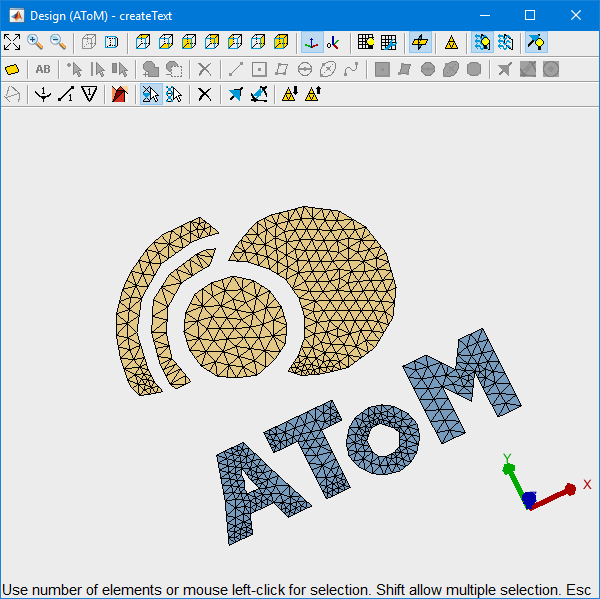 Are you a fan of AToM or characteristic modes? Would you like to see some extra feature in AToM? Would you like to support its further development? Antenna Toolbox for MATLAB. (2018). AToM. [Online]. Available: http://www.antennatoolbox.com. Capek, M., Hazdra, P., Adler, V., et al. : AToM: A Versatile MATLAB Tool for Antenna Synthesis, EuCAP 2018, London, UK, 2018. Fast Optimization ProcedureS. (2018). FOPS. [Online]. Available: http://www.antennatoolbox.com/fops. Marek, M., Raida, Z., Kadlec, P.: Synthesis of Electromagnetic Equivalents of Composite Sheets by Multi-Objective Optimization of Anisotropic Band-Stop Filters, EuCAP 2018, London, UK, 2018.